Statistics show that a rising number of completely deluded Americans are actually crazy enough to start new businesses. CAMBRIDGE, MA—According to a promising new economic report published Wednesday by the National Bureau of Economic Research, a steadily growing number of Americans have become delusional enough to open their own businesses. The report, which described its findings as “highly encouraging for near-term economic growth,” confirmed that over 200,000 small businesses were founded in 2013 by entrepreneurial Americans who have completely and utterly lost their grip on reality, and noted that the number of bold and frankly insane Americans applying for new business permits had risen markedly over the past year. Hemley explained to reporters that in spite of the litany of clear indications that the global economy remained highly unsettled and hazardous, a bright new wave of Americans are currently forging ahead under the fundamentally flawed and entirely irrational belief that their new businesses will attract wealthy investors and establish a loyal consumer base. The promising trend has also reportedly led thousands of aspiring entrepreneurs to conclude that securing large bank loans at high interest rates—which will almost certainly lead to insolvency and personal financial ruin—is a good idea. 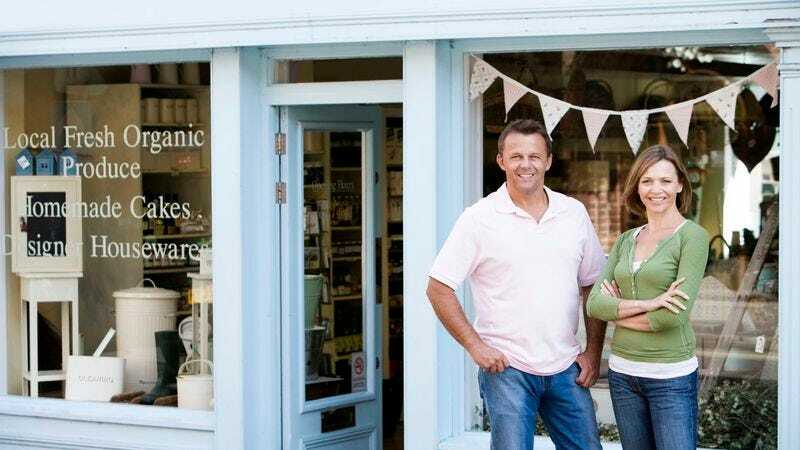 According to the encouraging report, 67 percent of self-identified new entrepreneurs are deranged to such an extent that they’ve convinced themselves the U.S. economy has rebounded to the point that a small business can not only turn a profit, but thrive and eventually expand. The study also found that 78 percent are so severely demented that they believed a tiny, independently run business could compete with the far larger and more powerful national corporate hierarchy. Furthermore, the report confirmed that nine in 10 new entrepreneurs had bought into such an illusory fantasy world that they genuinely believed opening a small business would ensure a steady paycheck, a comfortable life for their families, and a good education for their children, rather than accepting the future of devastation and hardship that certainly awaited them within the next 18 months once their businesses were gone and they were left with nothing. “As long as these people continue to be out of their goddamn minds, our economic future appears bright,” Hemley added.